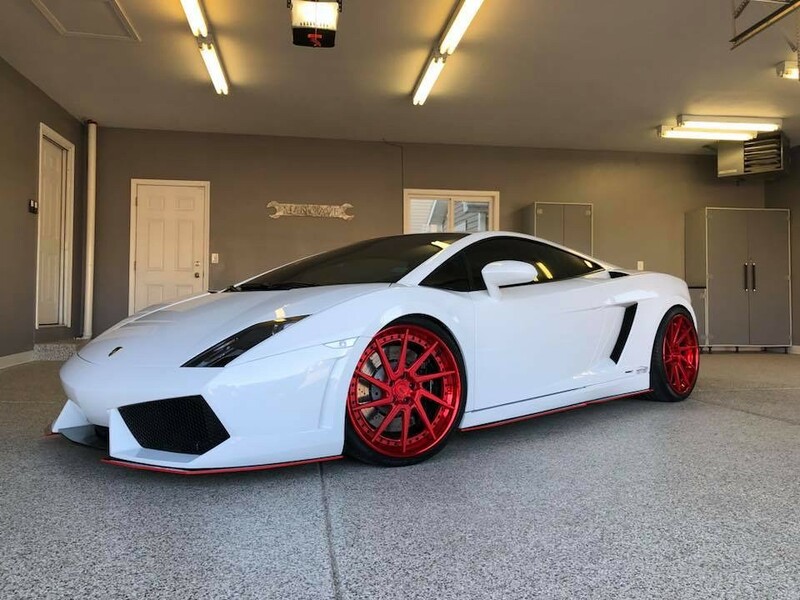 The owner of this Lamborghini Gallardo contacted me wanting to not only correct and protect, but also take advantage of a little easier aesthetic maintenance due to having coated surfaces. 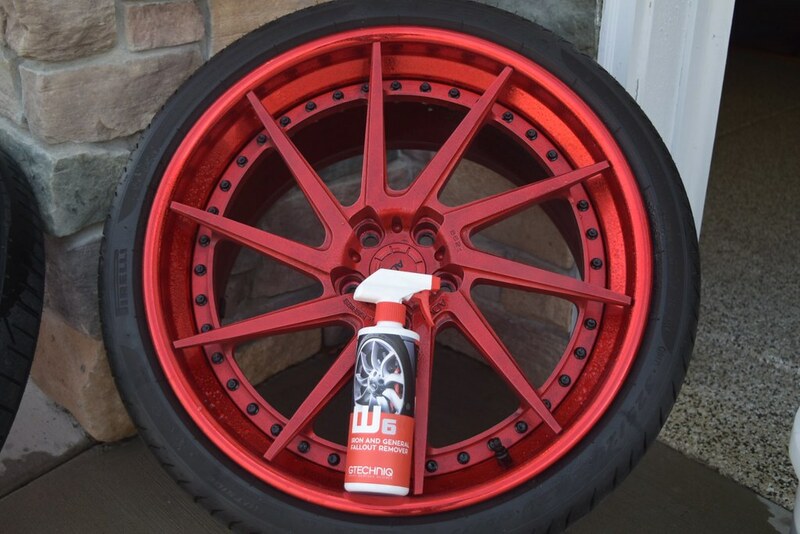 Correction, Gtechniq Crystal Serum Ultra, EXO, and then a wheels off, polish and coat of Ultra/EXO combo to finish out the custom ADV.1 wheels. 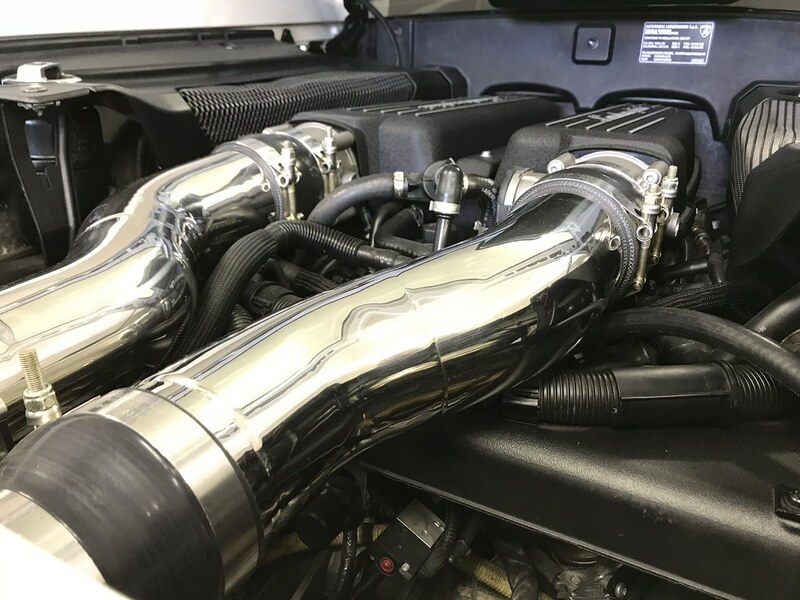 We started just like always, a chemical and mechanical decontamination, and a thorough inspection revealing the paint thickness and troubled areas which were typical of exotic cars; minor scratching, chips, and swirling from owners, as well as factory defects such as sanding marks and buffing trail. 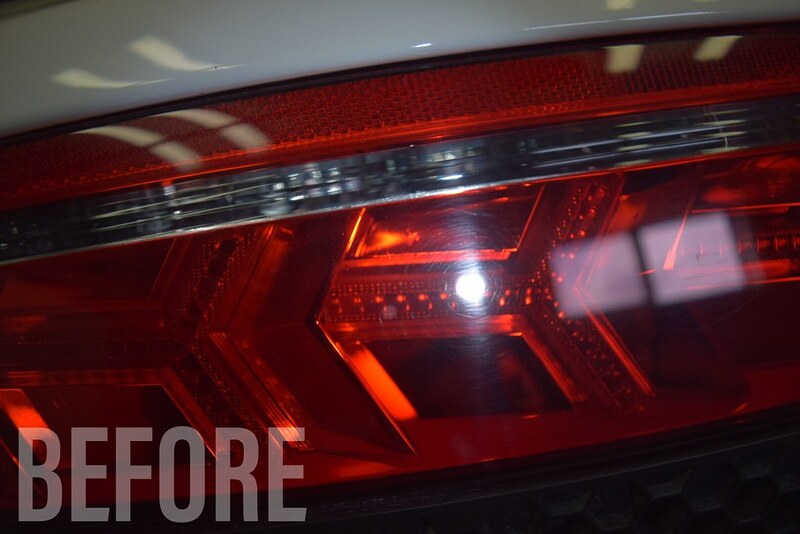 Lamborghini’s are wet sanded and polished out with a rotary polisher from the factory. Often times this operation is done with inexperienced personal and/or on a severe time crunch. After a thorough decontamination and inspection, we moved into the correction phase, starting with a test spot. 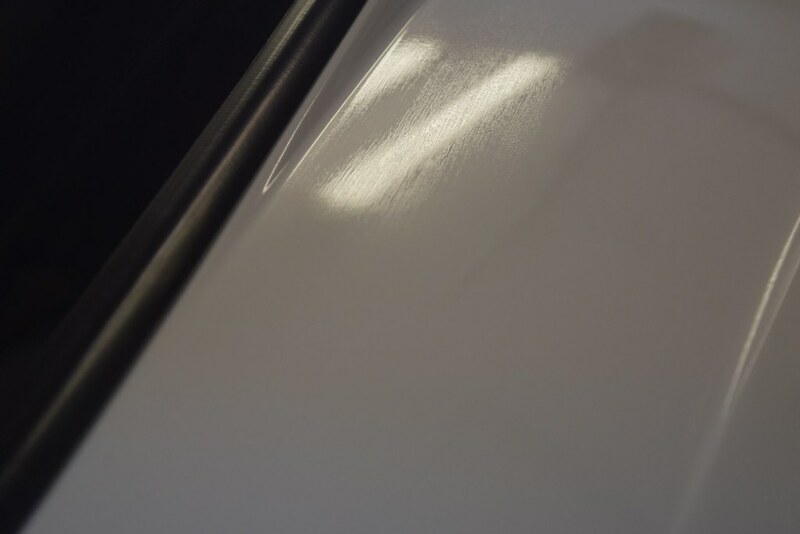 While taking measurements of the paint thickness, we noticed the paint was EXTREMELY thin in some areas. A piece of paper is around 4 mils. There were areas on this car that were in the 2.0-2.5 range. This is primer, base, and clear. These areas are touch and go, and reminding myself not to chase deeper swirls in these spots was a necessity. After some testing, I went with my go-to M100/CarPro Reflect combo in most areas. Luckily, there wasn’t much for extremely heavy defects, and not much out of the ordinary for an older car. After many many hours of correction, we coated the paint and wheels, and dressed things up, tidying the engine bay, glass, and tires for a finished product. Take a look at some after photos and the video below. 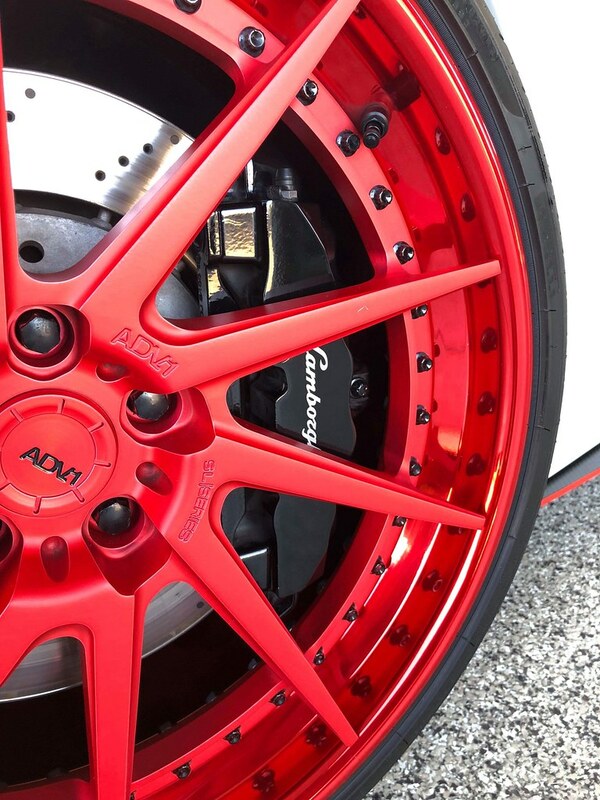 Notice the brake caliper “Lamborghini” labeling. It has lost its vibrant white color. 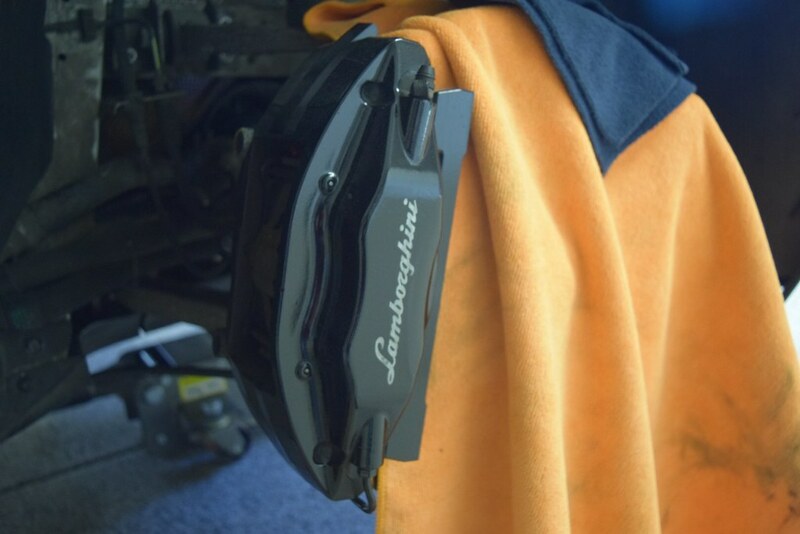 CarPro Reflect with a microfiber cutting pad on a 2 inch made quick work of these calipers, restoring the shine and color and prepping them for Ultra. Tip: Always be careful when dealing with Carbon Ceramic brakes. My client had even mentioned about how easily they squeal, and they had just stopped after some new pads all the way around. 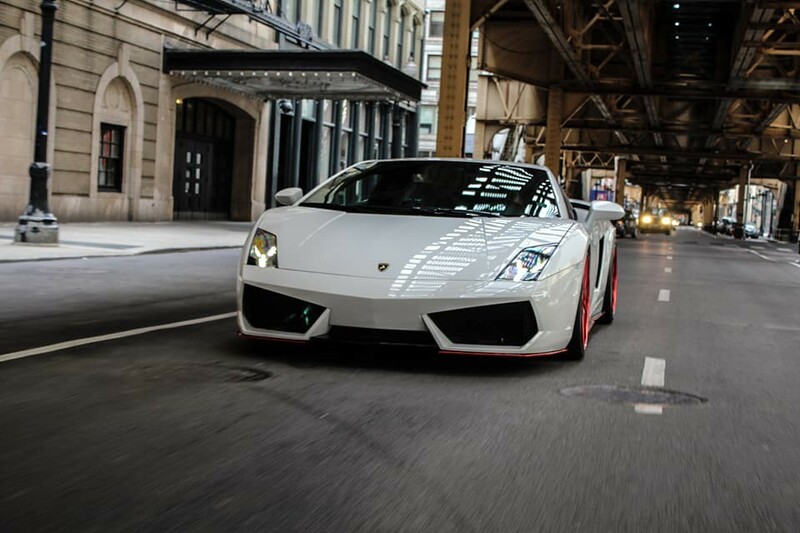 Being too cautious is never an issue, especially on these higher end cars. Gtechniq W6 removing built on brake dust and road film. 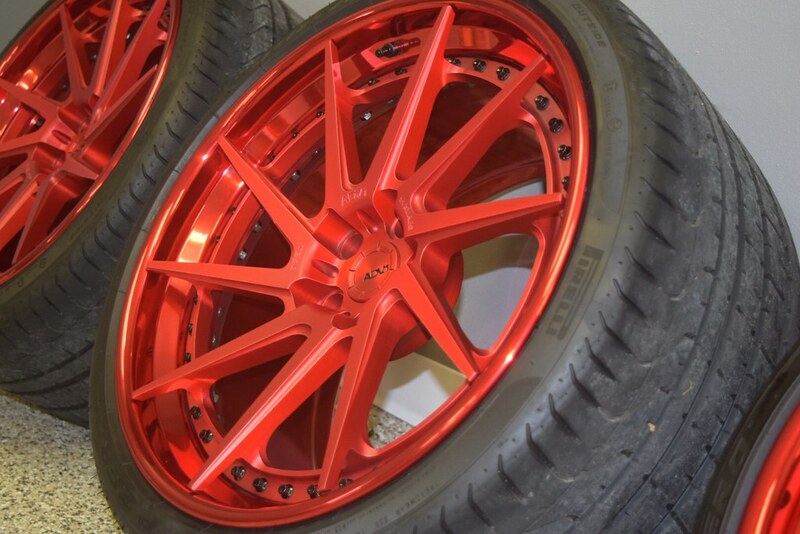 Take a look at the color of the spokes in this picture compared to the others. This is not just a lighting trick. We hand polished every spoke and surface due to the discoloration even after heavy decontamination washes and clay. The ADV.1’s basking in their glory for an after shot. These wheels were one off’s, in a color that had never been done before. 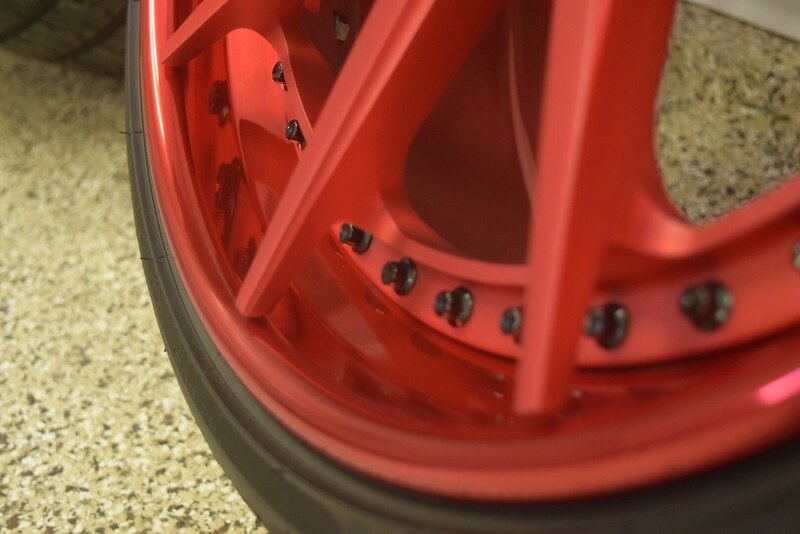 The spokes were an interesting matte brushed finish while the barrels were a highly polished “Jolly Rancher Red”. Unfortunately, I hadn’t taken any real great shots of before correction on the painted surfaces, but here is an after. 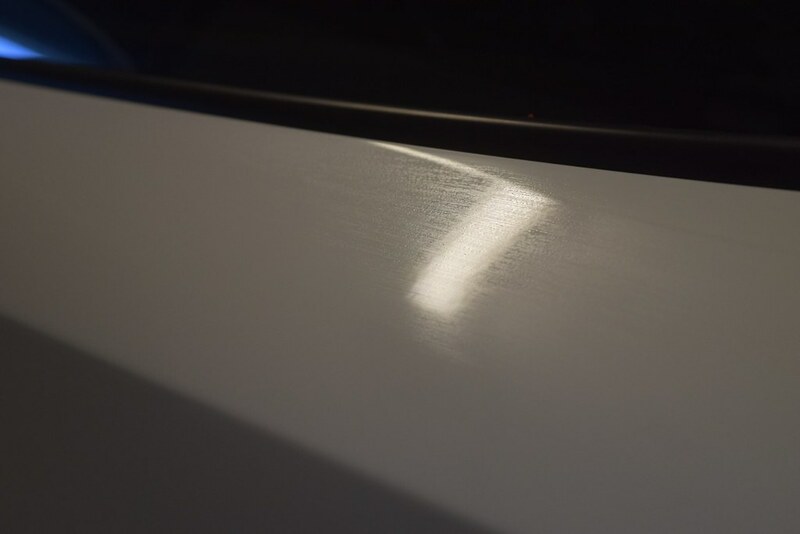 Although this is extremely difficult to photograph, I managed to get a few shots of what we call “flashing” of the coating. You can see it almost “separates” creating bead like lines. After allowing Ultra to cure, EXO is laid over the top. The Ultra rejects the EXO until it is further worked in. Notice the “bead” like texture while EXO is flashing. After a quick polish of the bright work and a thorough decontamination, the engine bay was dressed with C2. 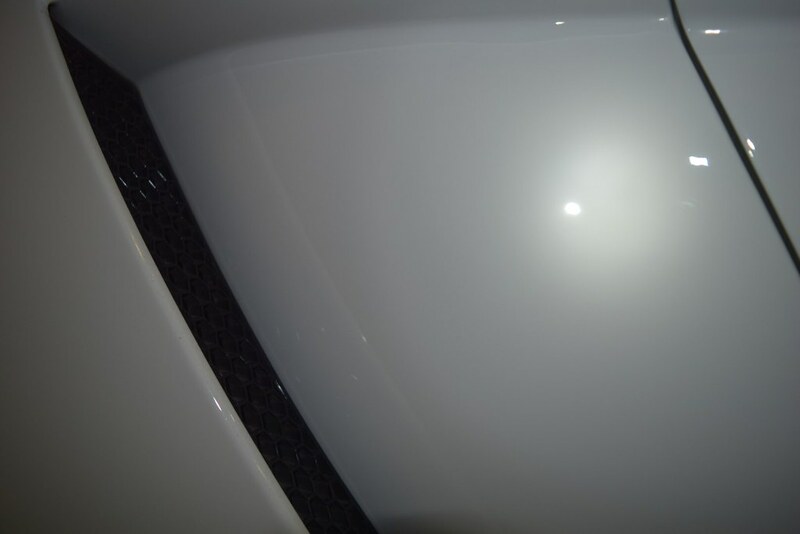 This is my go-to for engine bays that I or the client prefer a “matte” finish rather than a high gloss dressing. It will also help with cleaning in the future. Outstanding work and I appreciate the thoughtful write up. Thank you! 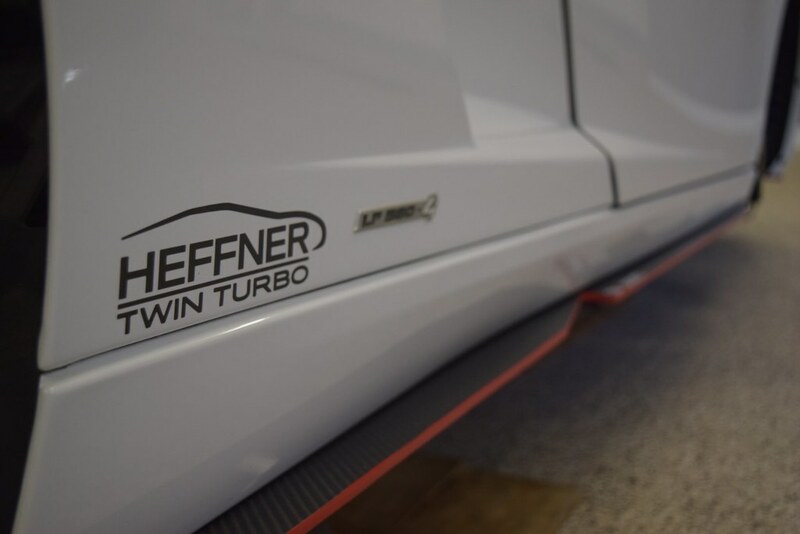 This was a fun project with a very hot car. Sorry, I completely missed this comment! 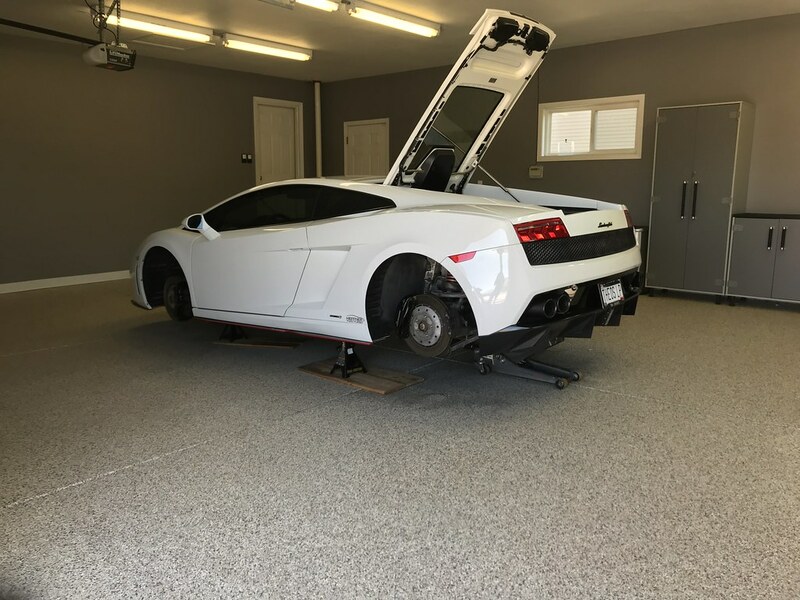 This job was actually done at the client’s house in his garage. He had a beautiful setup though and I was very happy to be working in there. Furthermore, zero game can hold a candle towards the public vision that is a of this game.